On Sunday, July 29, the cicada we saw crawled out from the leaves and climbed up a tree. It stopped and froze, however, it fell back in the leaves and did not molt. A few hours later, we moved it near the house so we could observe it through the window. We did not observe any change in movement or appearance. It has been five days now. As you can see, it is not just the remaining exoskeleton. Hello and thanks for the image. Yes unfortunately, this does happen some times with cicadas. 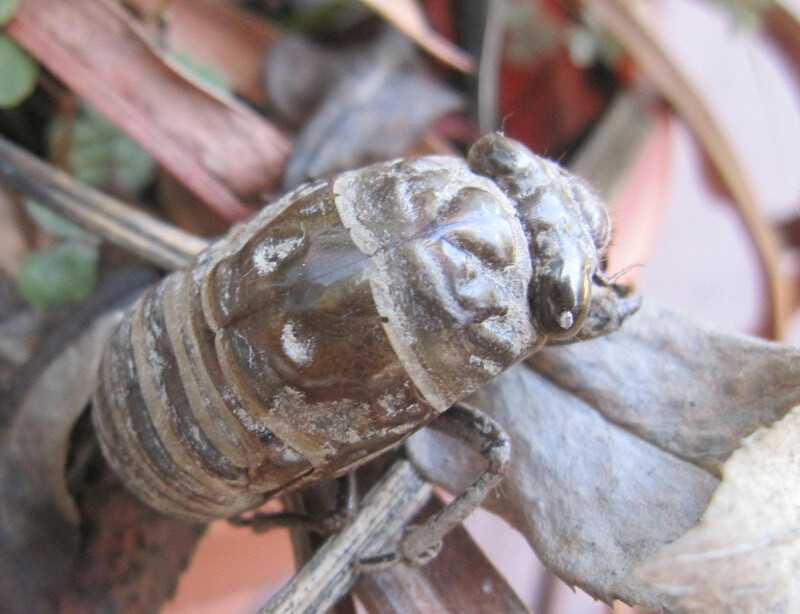 For some unknown reason once the cicada emerges from the ground they just never molt. I have found several Tibicen lyricen nymphs that this happens to.